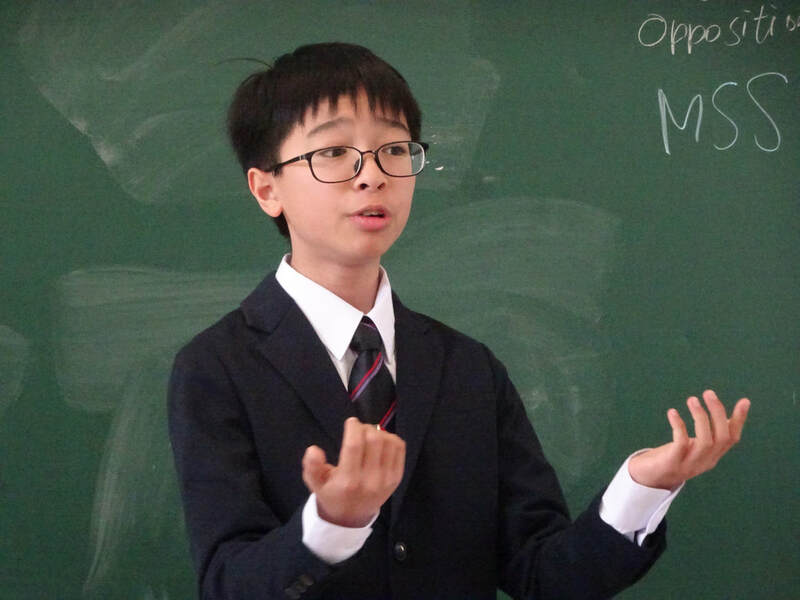 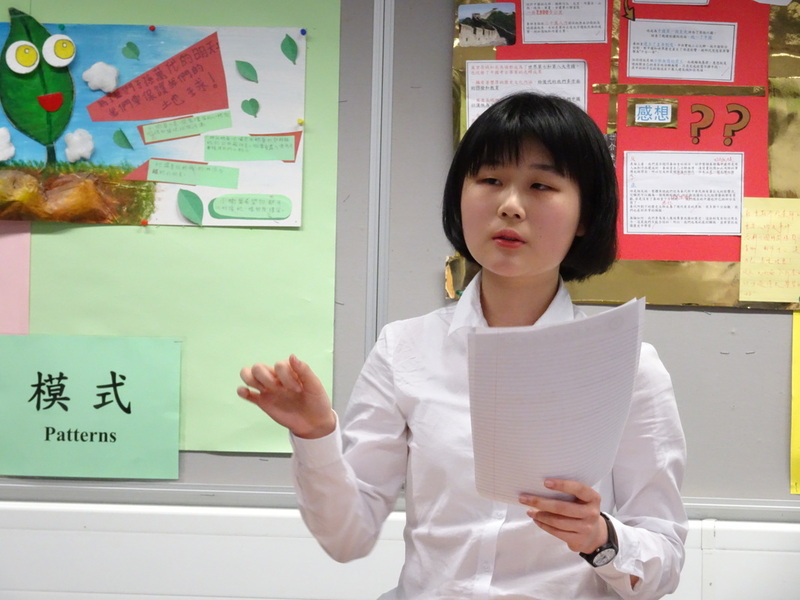 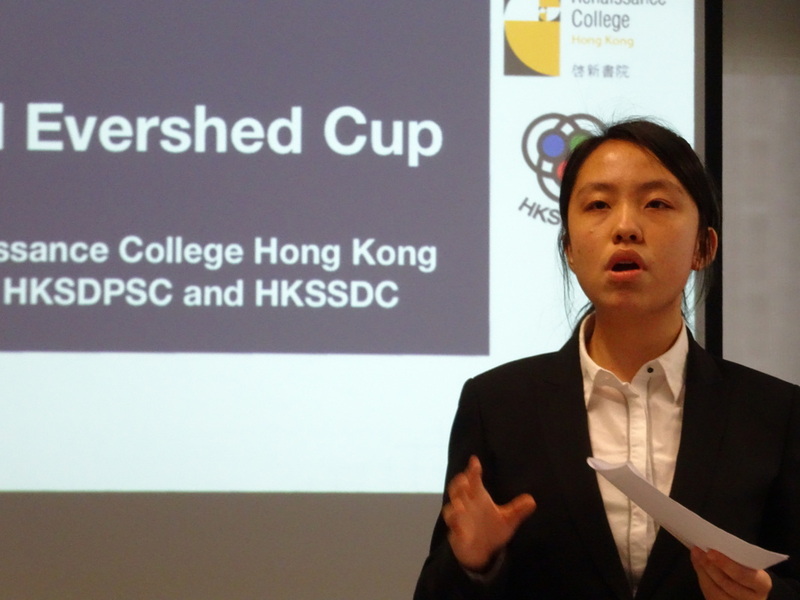 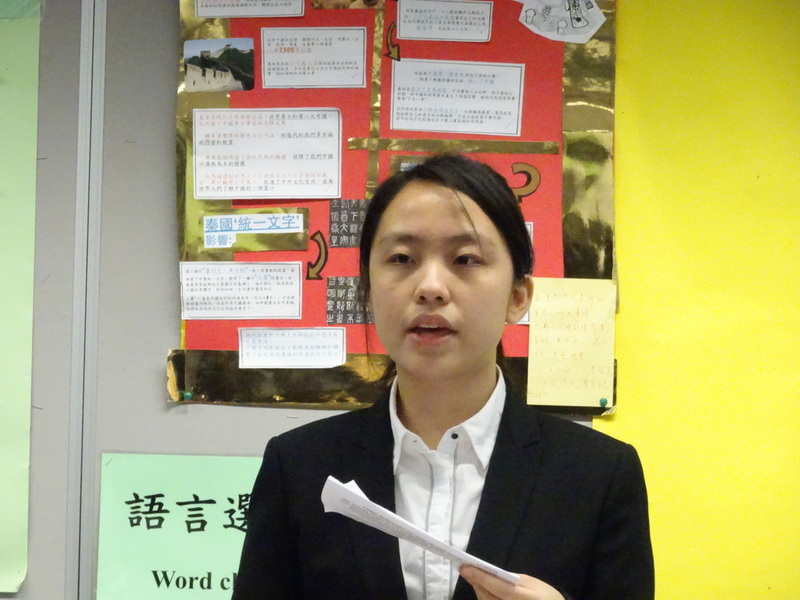 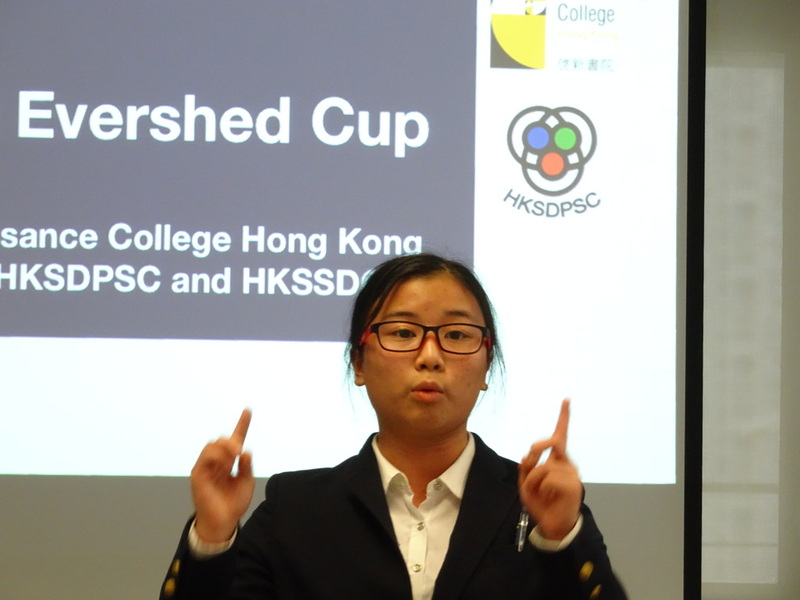 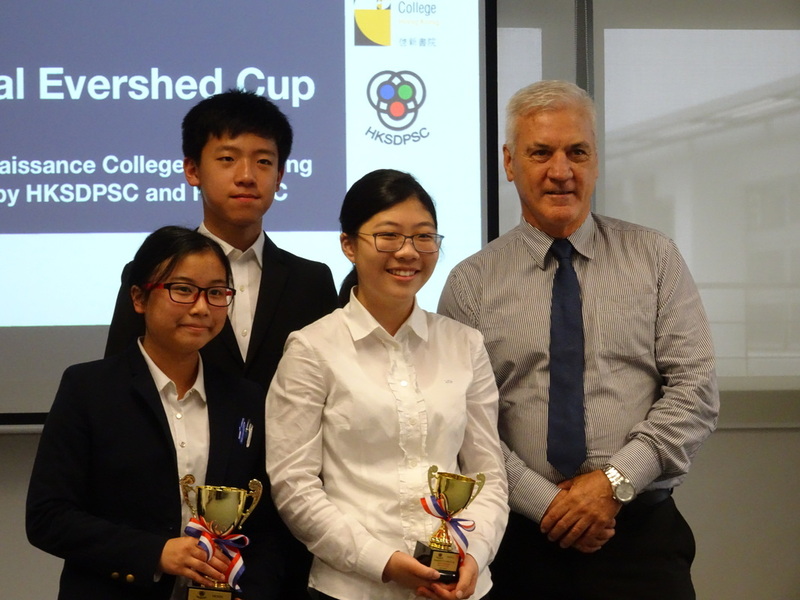 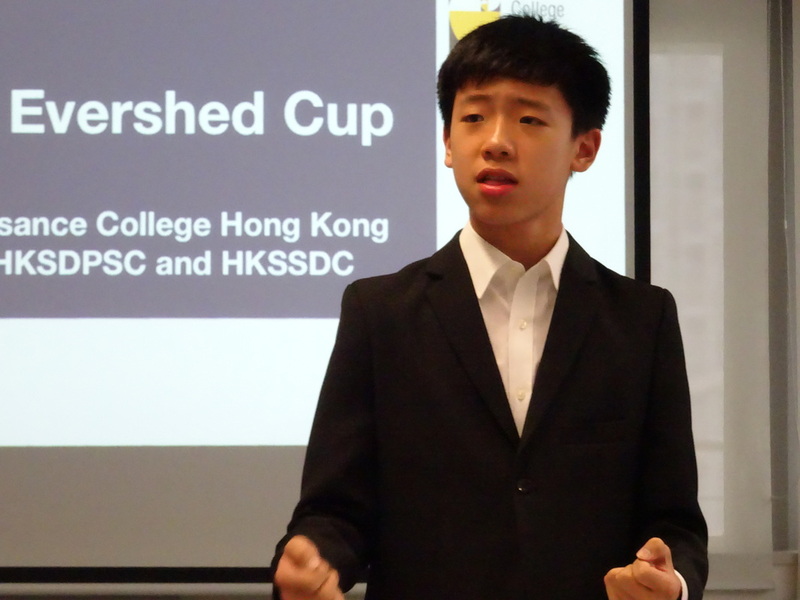 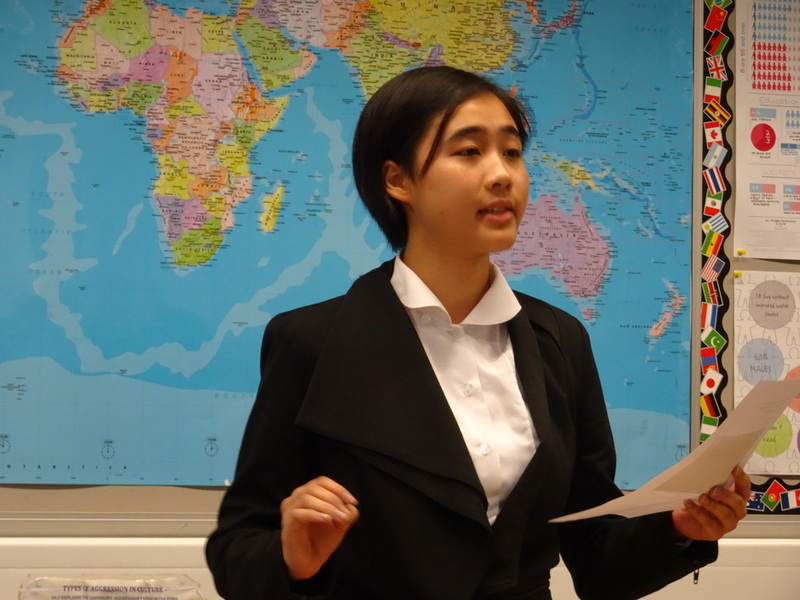 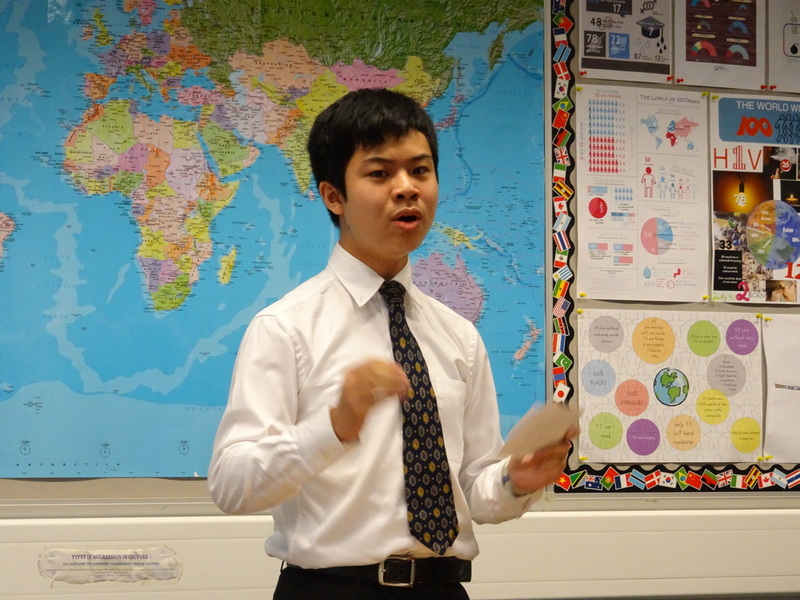 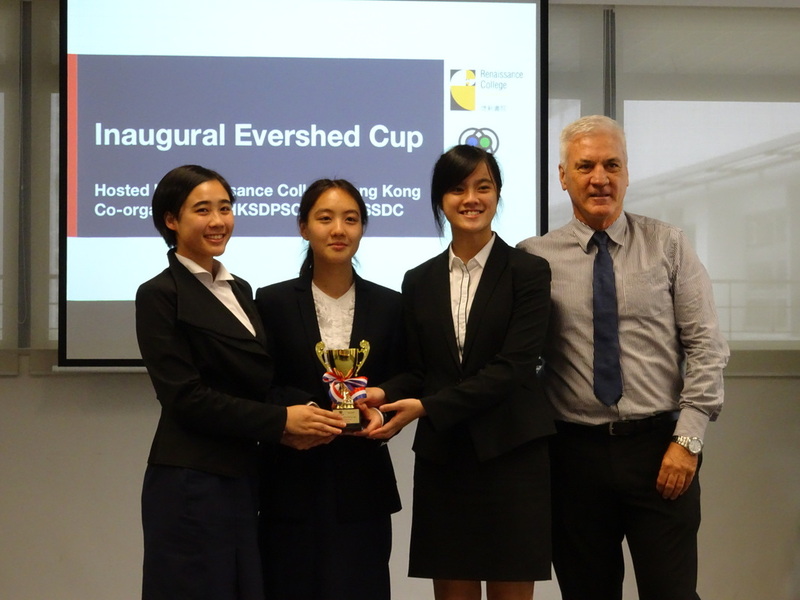 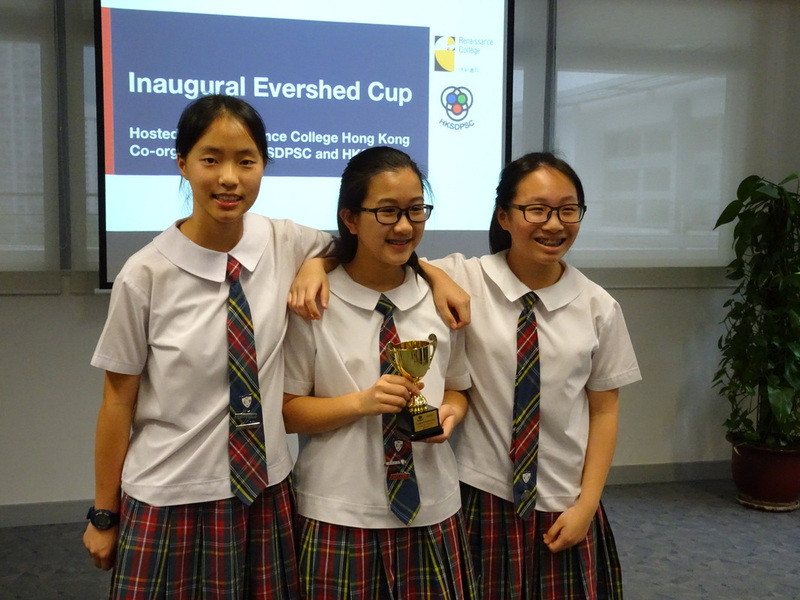 Evershed Cup, in October 2018 gave a wonderful chance for higher level teams in HKSSDC to stretch up that little bit further in World Schools Debating Championship Format, using 5 min speeches and 2 min 30 replies. 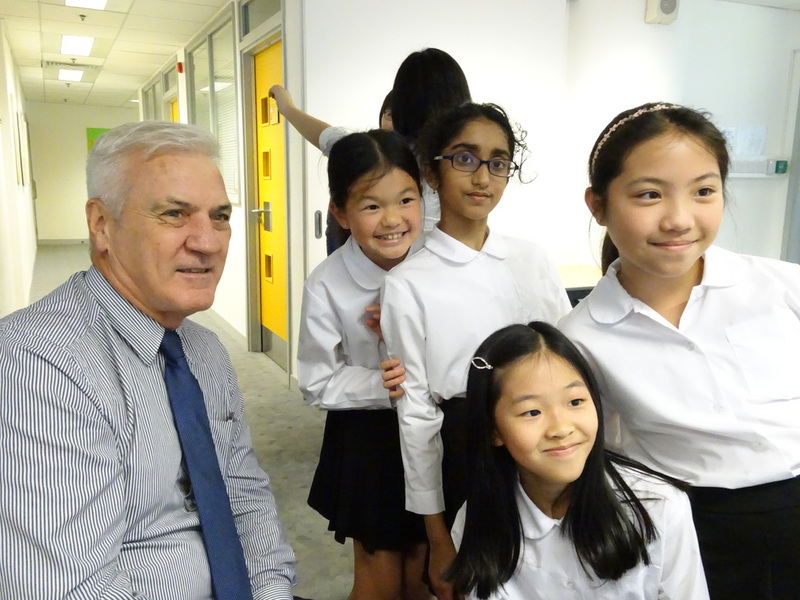 Have a look at the photos below to see how it was. 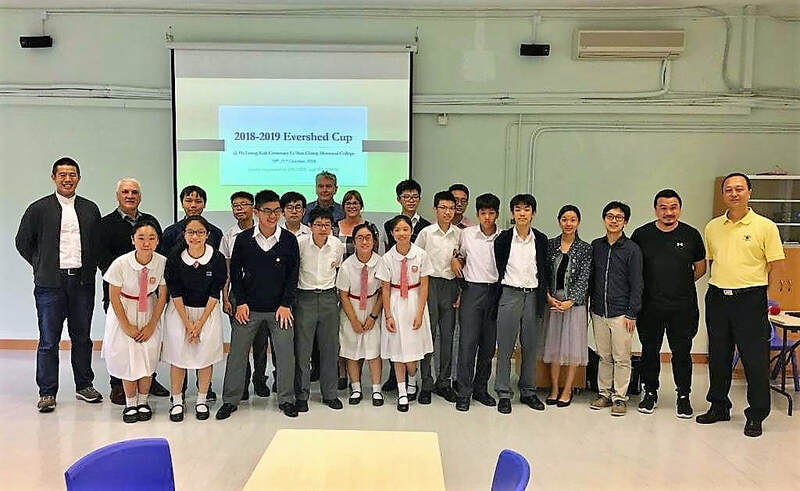 Some feedback and suggestions from Michael Evershed after the 2018 finals with Cheng Kwok Hung in the background. 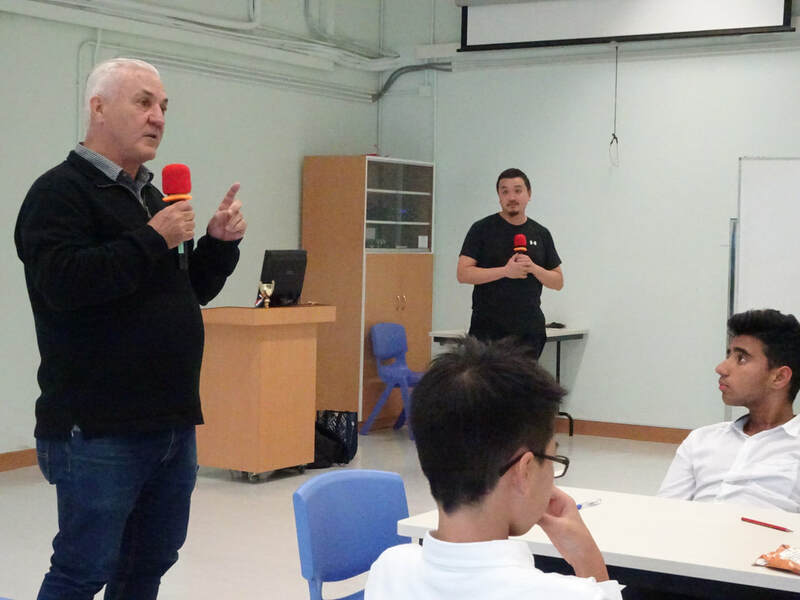 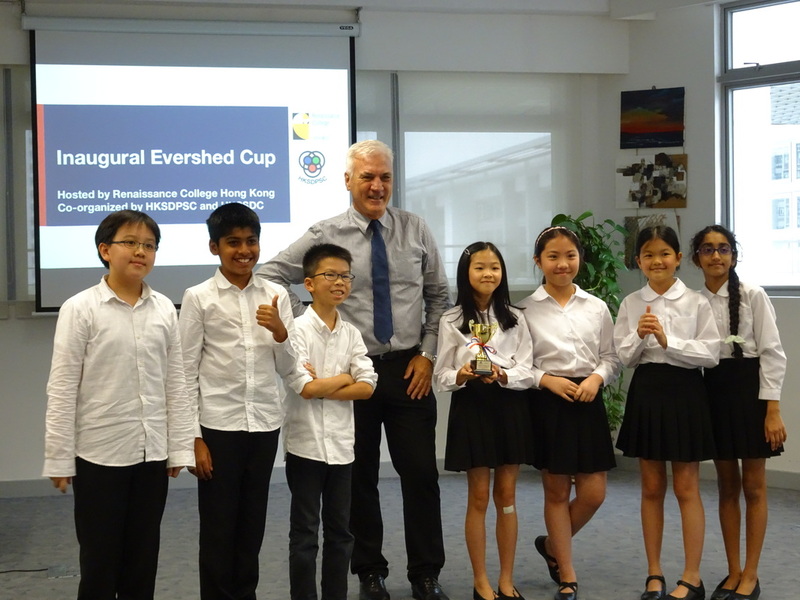 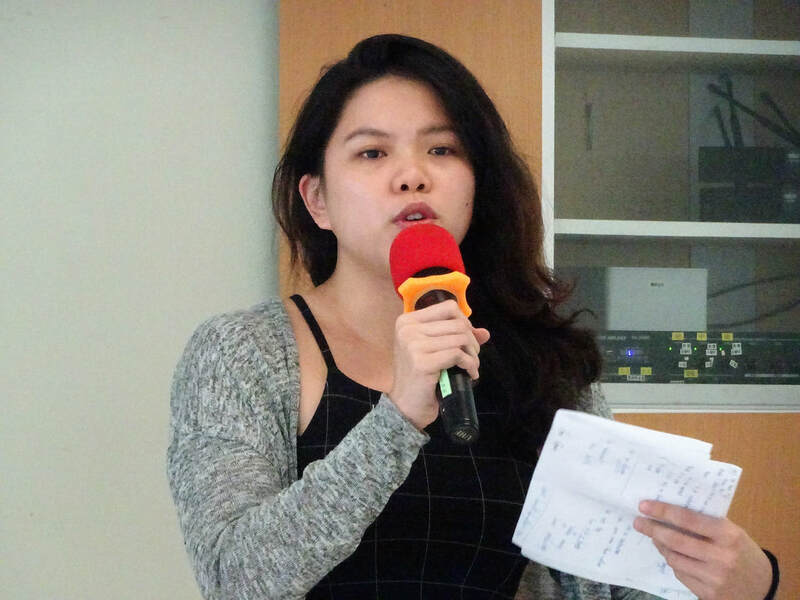 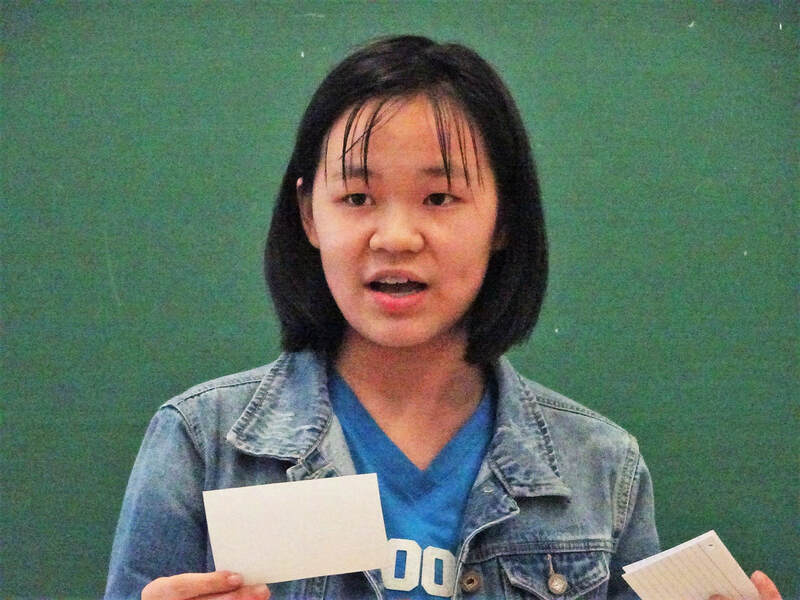 This year, to honour the work of Michael Evershed in building both the size and quality of Hong Kong's English debating over many years, the Evershed Cup was held over two Saturdays, 16 & 30 April 2016 at Renaissance College in Shatin. 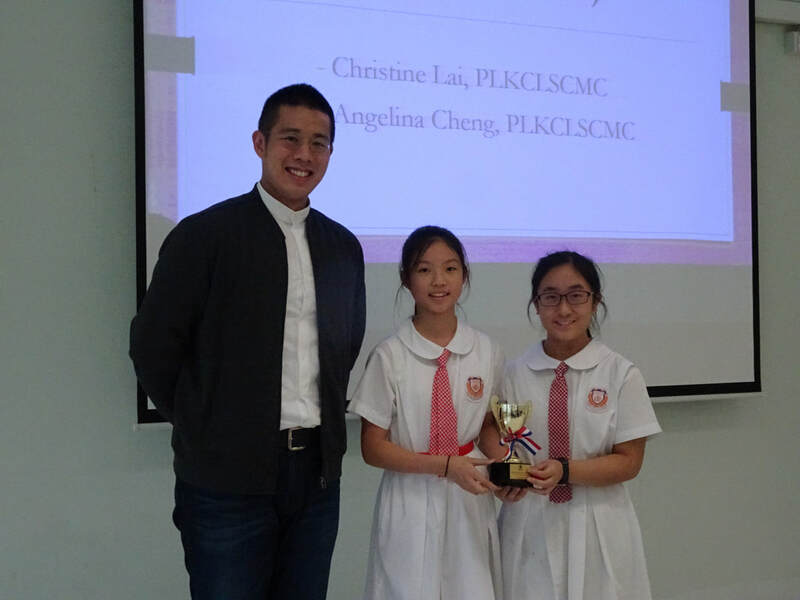 The event was co-organized by Hong Kong Schools Debating and Public Speaking Community (HKSDPSC) and Hong Kong Secondary Schools Debating Competition (HKSSDC) with the idea to get teams from a range of different schools to debate over two days using modified world schools format. 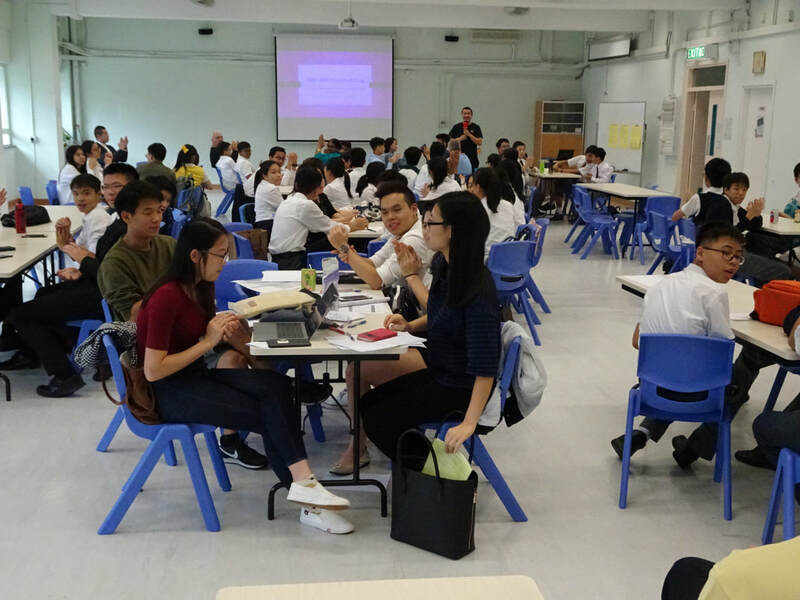 A wonderful lunch on the second day was also provided to keep all participants in a really good mood just ahead of watching the Grand Finals. 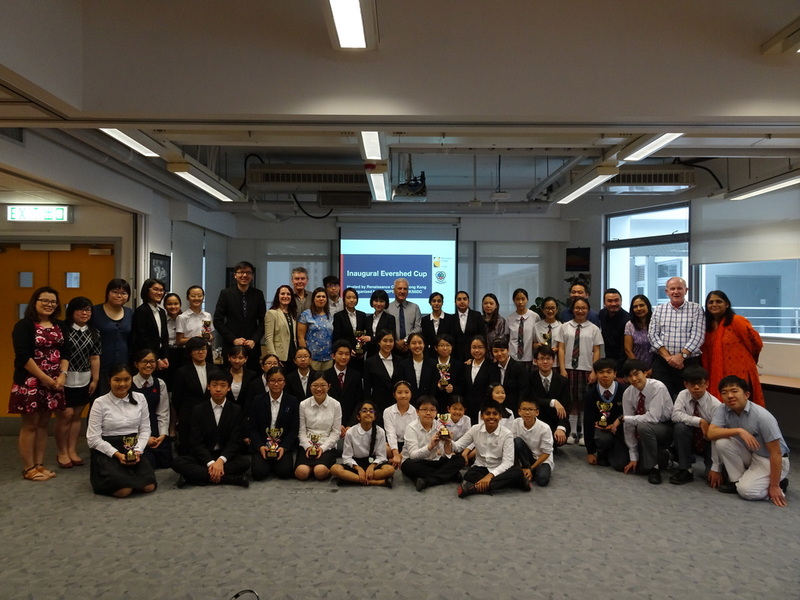 Teams and teachers gained a lot not only for the debating events themselves but also the very focussed workshops to familiarise students with the modified World Schools format, which use Points of Information. 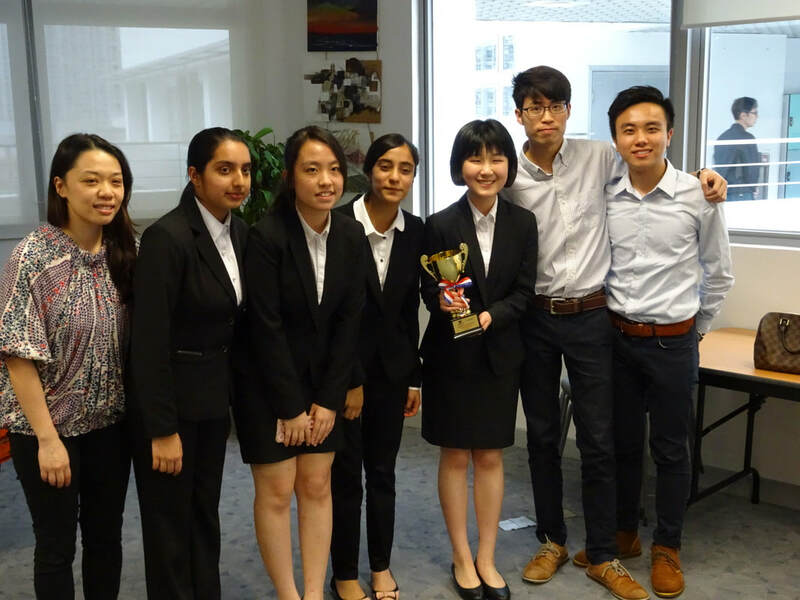 As well, the very considerable contribution by Mrs Shankar from Renaissance College allowed the event to held in a really comfortable environment indeed. 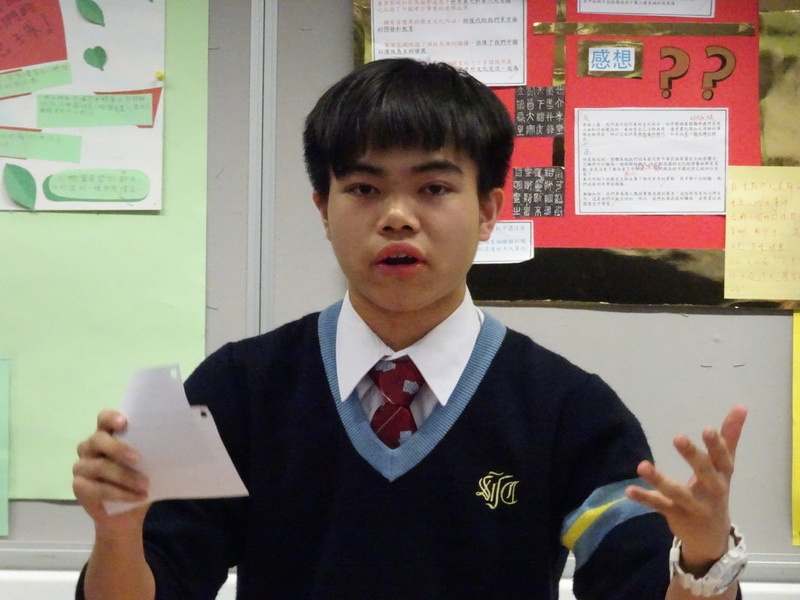 A number of us are already looking forward to the event again next year.